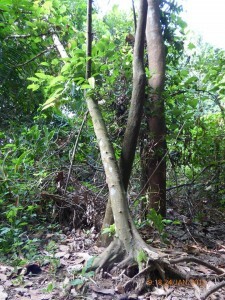 Located at Venus Loop at MacRitchie, this fig tree has been the starting point of the Toddycats’ “Love MacRitchie Walks” since August 2013. The walks are part of an outreach campaign that supports the preservation of our Central Catchment Nature Reserve amidst plans to build an underground MRT tunnel across it. Under this tree, guides explain the importance of figs in the ecosystem. 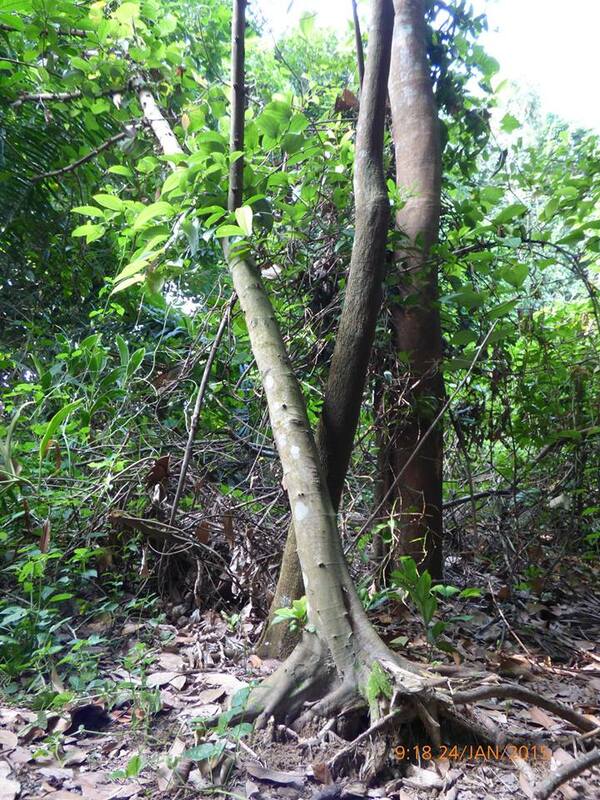 The tree’s existence is not only uncertain due to redevelopment plans, it is also at the mercy of invasive plants such as the Zanzibar Yam and recent strong winds. Not long ago, it was seen upended, leaning on other plants and at the verge of toppling. However, its green leaves and figs hint at a determination to stay upright and survive and gives Chloe, a guide from Toddycats, a renewed belief in their campaign effort. “The fig tree might just make it. We might just succeed in convincing the government (to reconsider the alignment of the CRL)”. Nature or sports enthusiasts who frequent the MacrRtchie area, do you have a tree that is special to you?